Getting ready for date night pre-makeup and little did I know soon to be contractions! 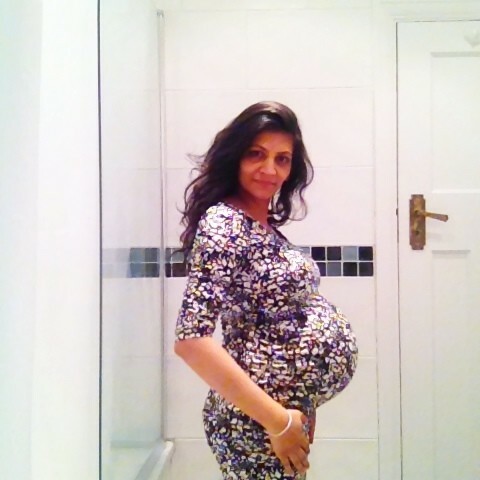 It was my second week of maternity leave and contractions started around 18:30 Monday 3rd March 2014 whilst watching Gravity at the IMAX London Waterloo. (Date night & fright night). I did’t say anything as I wasn’t sure if it was Braxton Hicks and waited until we had watched the film! After we arrived home we called the hospital. My waters hadn’t broken so I was advised to stay at home. In the hours to follow I took paracetamol, lots of baths while Mr M sat on the floor timing contractions, listening to music until I could take it no more and we went back to Kingston hospital. At this point I left my dignity at the door. 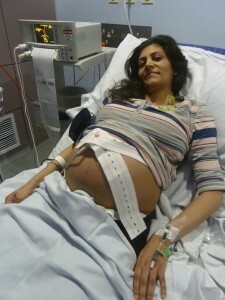 I was admitted at 16:00 that afternoon and was 4-5cm dilated. I used gas and air to help me through the contractions and could not get into the birthing pool as I was sick a couple of times 🙁 I don’t know how the body lets you go through such intense pain without letting you pass out. 23:00 The Epidural was administered 7 hours later and this took the edge off the pain I was feeling as Mr M said it sounded like I was being tortured in the London Dungeons. My waters had to be broken. 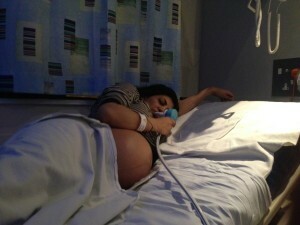 04:00 Wednesday 5th March baby’s heart beat dropped dramatically and emergency doctors came into the room. I’d never felt so scared in my life and began to shake. Thankfully baby’s heart rate went up. Unfortunately the same thing happened soon after and at one point I couldn’t hear the heart beat at all. I said a little prayer and hoped all would be fine. I was asked to push and push but Jay was facing the wrong way and could not be turned so I agreed to the episiotomy and forceps. Drat and double drat. Not the birth I had envisaged but nevermind. 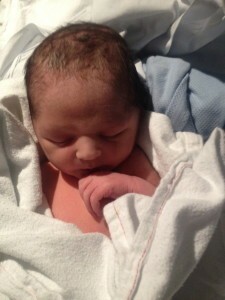 06:35am We saw our little baby lifted and placed on top of my chest. Our eyes welled up. “It’s a boy!” We had a son we had waited so long for! A moment in time I will never forget. 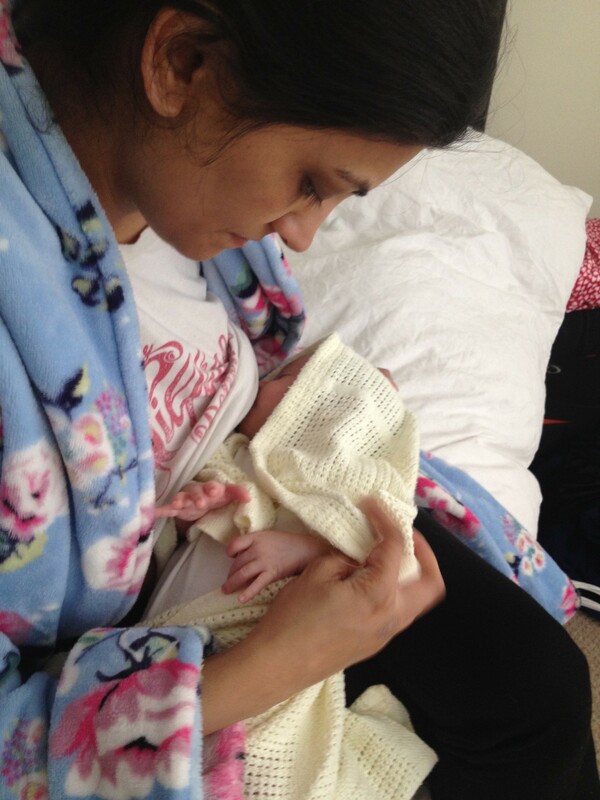 Jay Devan was born on Wednesday 5th March 2014 weighing 6lbs 3oz. 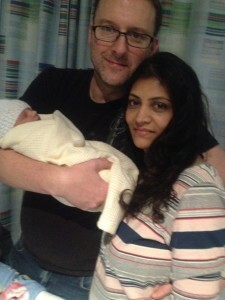 His due date was 22nd March and he was 17 days early. 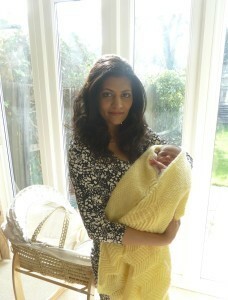 I was 37 weeks and 4 days into the pregnancy. 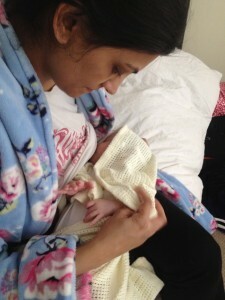 We stayed in hospital for 2 nights due to Jay’s low blood sugar and I was feeling pretty rough too but was able to breastfeed straight away. 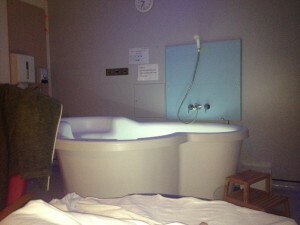 The first night in the hospital alone with Jay was very nerve wracking. I couldn’t sleep as it was pretty noisy on the ward and at one point could hear a woman’s labour screams in the corridor outside. Jay was wheeled away every couple of hours to have his glucose levels tested. I could hear him crying at each heel prick test but he soon calmed down and would sleep. 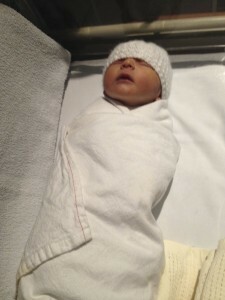 He looked adorable swaddle wrapped and toasty! 21:00 Friday 7th March. I collected my dignity on my way out of Kingston hospital. 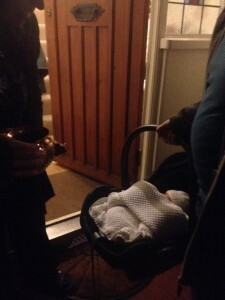 We brought our baby boy home for a lifetime of nurturing and introduced him to his grandparents. Their very first grandchild. 14:00 Wednesday 11th March 2014 Jay officially registered at Kingston Register Office in Surrey. a lovely afternoon tea to follow!